How much money will you save if you raise your deductible on property insurance? Is this even a smart decision? If we compare property insurance to auto insurance, the stakes are a bit less costly when losses occur to your vehicle. A fender bender cannot compare to a house fire. An emergency fund for home repair is necessary, but it requires a lot more preparation, time and money than it does for auto mishaps. Your entire basement could flood, foundations could shift, or a tree could fall on your roof. In this post, we’re going to look at the property insurance deductible and show you how much money you can save if you make it a bit higher. What is a deductible for property insurance? The deductible outlined in your policy is the amount of money you will have to pay out of pocket in the event of a loss. You have the choice as to the cost of your deductible. If the deductible is low, say $500, you will have a higher monthly bill or annual premium because your insurance provider has to be ready to step in should a minor loss go over the $500 mark. If you have additional property coverage for things like water damage, sewer damage or storm coverage, you should be able to choose separate deductibles for each circumstance. These types of coverages usually have higher deductibles and will add on to the price of your insurance overall. When these types of damages occur, they usually cost a pretty penny anyway. 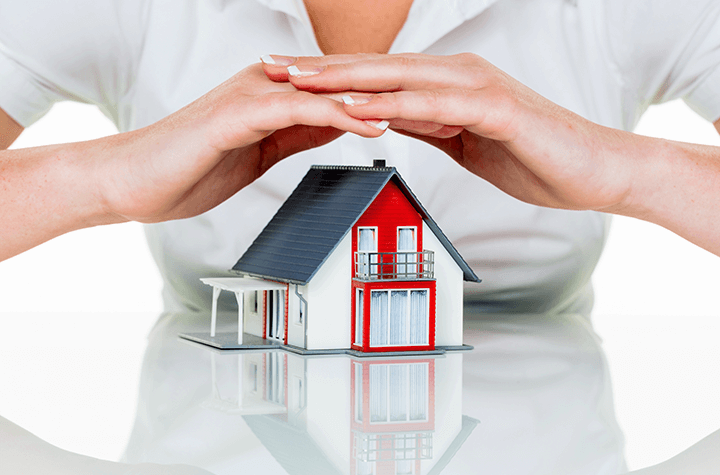 Do you really need insurance for your property? Unlike auto insurance, which is mandatory and even controlled by the government in some provinces, homeowner’s insurance is optional unless you’re covering the financial interests of lenders. Sometimes, fire is your greatest risk; if you want to save on insurance living in a relatively safe, elevated area, you may wish to opt for the most basic level of insurance coverage which also covers you for liability. The higher your insurance deductible, the lower your rates. At the same time, the higher your deductible, the more competency and financial literacy is required of you. Do an inventory of your possessions and evaluate the cost of your home to make sure you’re not carrying any coverage you don’t need. Deductibles can range from $500, $1,000, $2,500, or even higher depending on your insurer. Paying annually will negate the extra monthly charges that occur on bills: those administrative fees or additional taxes. If you're interested in paying annually, you need to make sure you have enough money in your accounts come bill time. You can set up an extra savings account first, then transfer a 12th of the annual fee towards the premium every month so you'll be able to cover the annual fee once it comes around. It makes sense to raise your deductible because most insurance companies will increase your premium the second you file a claim. When you keep your deductible high, you can’t really file a claim for the smaller stuff nor are you tempted to. Claim carefully. If you can afford to pay for the repair, you shouldn’t file the claim. “The purpose of home insurance is to pay for losses that will seriously strain your budget,” says Cathie Pottie, a licensed insurance broker in Winnipeg. When you make claims for smaller things, you become more risky to the insurer, and you’ll lose the no-claim discount that offers significant savings when compounded annually. An emergency fund will come in handy and can go towards covering some of those smaller claims that you would otherwise need to take to your insurance provider. You want to save the insurance claim for something that is completely out of your budget, in the unforeseeable future. After you file that $500 claim for your wrecked siding, you could be the victim of a flood the next month. Filing both of those claims instead of one could see your premium increase by multiples of 10% to 15%, only increasing as the future unfolds. That’s two claims within one season and won't look good on your risk profile. So we tried a quote tool to see the difference between a $500 deductible and $1,000 deductible. You should do this yourself or with your insurance broker when you're shopping around for your best rate. The hypothetical house belonged to a new family in a newly built, detached brick home. Fire hydrants and halls were close by, it had loads of security features, and there was one mortgage on the house. The cost to replace or rebuild the entire house was set at $300,000. For the $1,000 deductible, we were quoted at $587 per year, while the $500 deductible quoted us at $703 per year. There is no excuse for having a $500 deductible based on the savings alone. At the very least, you should opt for the $1,000 deductible and combine as many discounts as you can. The change can have an impact of $5 to $10 per month, or $60 to $120 per year between a $500 and $1,000 deductible. The monthly cost may not look like much, but it all adds up, especially if you choose to pay annually (which you should in order to avoid extra fees). If your insurance company allows you to choose between a $1,000 deductible and a $10,000 deductible, you could save about $300 per year by choosing the highest option. There are other ways to save on insurance, especially when you take advantage of bundling options, securing your home, etc. Combining other discounts with a higher deductible will put you in a good spot for savings. Some companies offer discounts for policyholders that can remain claim-free for around three years. If you’re in a position where you can afford to pay for certain claims out of pocket (because you have that rainy day fund going), you should raise your deductible, and put the savings you receive from the policy into your emergency fund.